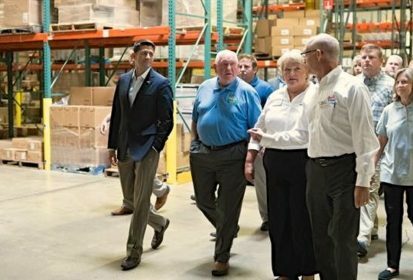 Washington | Reuters — U.S. House Speaker Paul Ryan has set a May 17 deadline to be notified of a new NAFTA trade deal to give the current Congress a chance of passing it, while Mexico’s top trade official on Thursday said time was running short to meet such a deadline. “I think we will be finding out through the day and tomorrow… if we really have what it takes to be able to land these things in the short run,” Guajardo told Reuters. This week’s talks hit an obstacle as the U.S. and Mexico sought to settle differences over the key issue of automobiles. She is due to meet U.S. Secretary of State Mike Pompeo at 4:30 p.m. ET on Friday. Mexico has launched a counterproposal to U.S. demands to toughen automotive industry content rules and boost wages. Trump blames cheaper wages in Mexico for manufacturing job losses in the U.S..
— Reporting for Reuters by David Lawder and David Ljunggren.